Our group chose to do the PR test to test for acid in the powder, the pH test to find the exact pH of the powder, the iodine test to test for starch in the powder, and the physical properties test to compare the powder to compare it to the other powders we had. This picture shows a negative PR test. 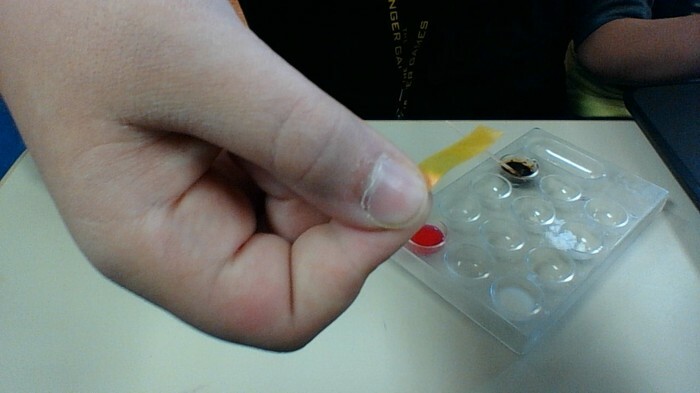 This picture shows a positive starch test. This picture shows the results of a litmus paper put into the mysterious powder mixed with water. The sign in- google accounts is a picture of the physical properties test. We believe that the mysterious powder is actually a mix of powders. The three powders we think are in it are red, green, and purple. Green, because it was the only one that tested positive with the starch test. 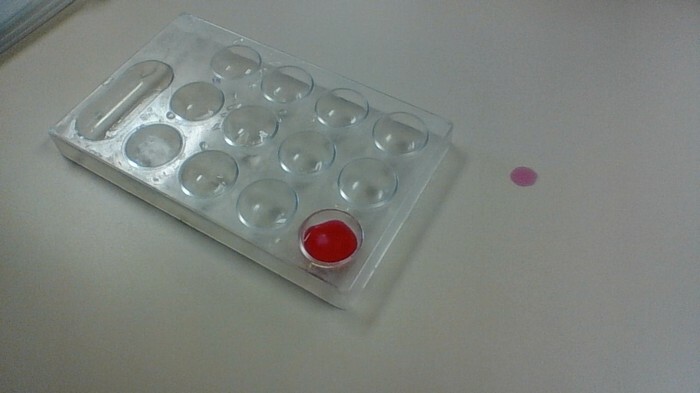 Red, because the pH is the same and when mixed with water before we did the litmus paper test test it settled to the bottom like red did. Purple, because when we did the physical properties test there was crystals in the mix and the pH was super close to the same.